America is at a fork in the road. One leads to disaster! That is the Obama Road! The other leads to the "City on the Hill." The city with the shining lights! The November elections will be an opportunity to save America, the likes of which those of us living today have never seen! Perhaps I am overly optimistic, I don't think so! 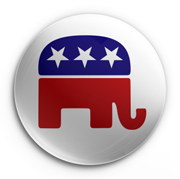 The Texas Republican Party has an opportunity to turn Americans to the right course! In in 2006, and 2008, we experienced the largest shift in a racial block of vote in American History! Certainly the corruption of ACORN and the fraudulent votes they produced was a factor. But without question, the legal Latino vote shift was a big help to Obama! If we can convince the Texas Republican Party to embrace a sensible immigration resolution, Texas will lead the National Republican Party and we will reap the results in November! Sensible immigration reform is a big deal! Every one agrees we must secure our borders! However just as, and perhaps more important is discovering who is here! We must demand Federal Immigration Laws that require immediate Positive ID and criminal Background Checks of every Non Citizen! We must know who is here! What are we waiting for? We must know it now! This is why Texans for Sensible Immigration Policy has offered the following Resolution. Please encourage every Delegate and Alternate you know to support this resolution! May God move our Republican Convention to adopt a Sensible Immigration Resolution! Texans resolve to urge Congress to develop a SENSIBLE IMMIGRATION POLICY! Americans deserve a policy that effectively controls our borders, positively identifies all non-citizens, deports those with violent criminal records, and includes no short cuts to citizenship with the exception of military service. Work visas for non-citizens should be issued only to those who submit to a positive ID process including criminal background check and agree to pay substantial fines and penalty payroll taxes in excess of taxes paid by citizens. Employers of non-citizens should be required to match those penalty payroll taxes as an incentive to hire U.S. citizens first! Please help me in passing this important resolution!